JAMAICA, Queens (WABC) -- The NYPD has arrested one of two suspects wanted in connection with a deadly sucker-punch in Queens. Matthew Smith, 42, is now charged with criminally negligent homicide and assault with intent causes physical injury. The woman previously identified as a suspect, 39-year-old Elena Makarova, remains on the loose. The couple was reportedly caught on surveillance camera striking 64-year-old Patrick Gorman back in June. 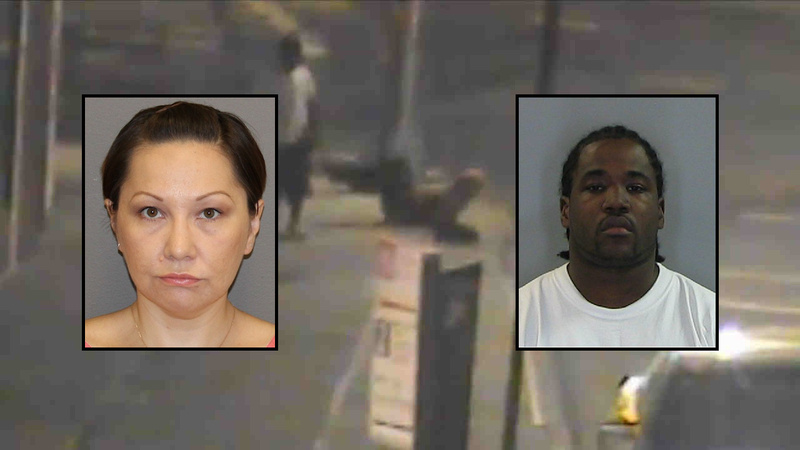 Police identities last week after releasing the video, which shows a man believed to be Smith walking up behind the victim and punching him in the head. A woman believed to be Makarova then hands him a bag before they flee the scene. Gorman can be seen trying to get up, but falling back to the ground. He died that same day.